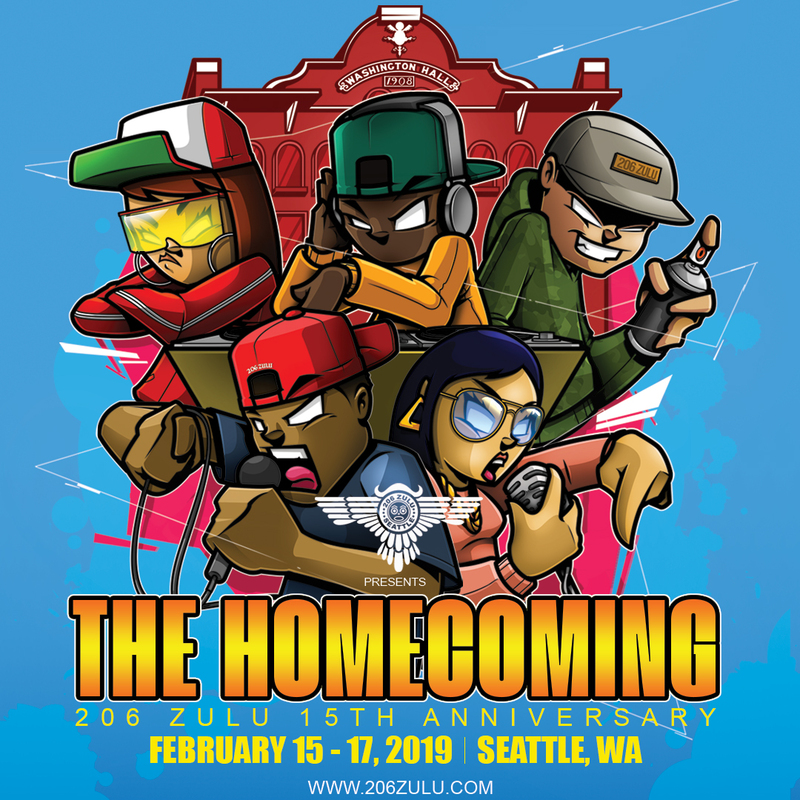 Each year, Hip Hop supporters from around the country gather in Seattle, Washington to celebrate and experience the 206 Zulu Anniversaries. 206 Zulu has recieved wide recognition for the precedence it has set in community-building, education, outreach, activism, and artistic excellence. Since its inception in 2004, 206 Zulu has taken the motto of “Knowledge, Wisdom, and Understanding” to another level for the next generation. 206 Zulu dedicates Presidents weekend in February as a time to celebrate not just the organizations accomplishments, but to pay tribute to the entire Hip Hop culture. Celebrate the Anniversary of 206 Zulu. Preserve and promote the elements of Hip Hop culture: Deejaying and Emceeing (music), Graff (visual art), B-Boying/B-Girling (dance) and Knowledge (education). Delineate the uplifting and empowering essence of Hip Hop. Create dialog to aid in solutions to prevalent issues in the Hip Hop community and the world at large. Raise consciousness on aforementioned issues to those outside the Hip Hop community. Heighten the exposure of emerging artists from around the country. Motivate youth by providing positive avenues of self-expression and encouraging unity. Open lines of communication for personal growth and networking. Unify people of all-ages from all walks of life.